JW Speaker, my favorite headlight manufacturer, is raising the bar once more with their upcoming release of the "J" model for Jeep Wrangler JKs. A simple plug and play --- no adapter needed, no "flicker-kicker". Click for their new Brochure and turn to page 5. PPS, please don't make the tail lights look like the stupid offerings available now either...thank you. 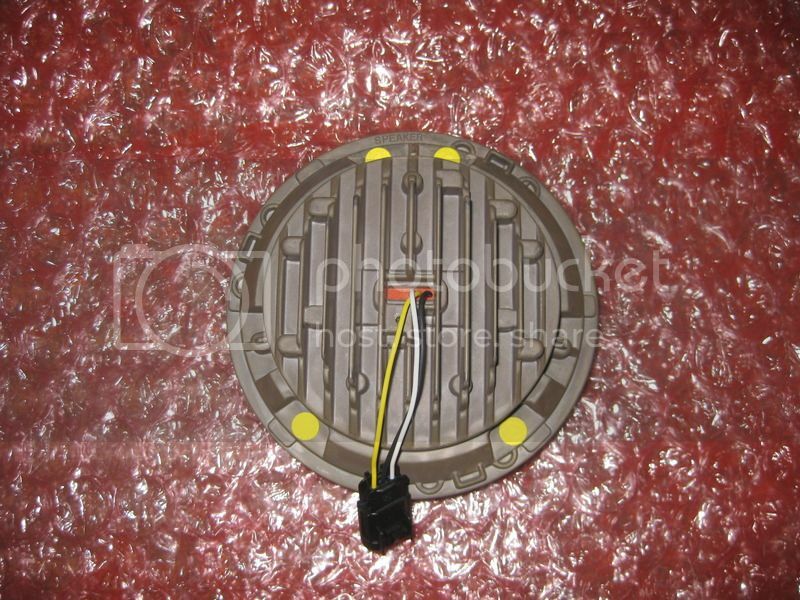 PPPS, a nice LED reverse light too! Their original model 8700 that I had on my 2008 had a heater and it worked great. But the overall dimension of the lamp was much larger and I had to do some, ummmm, questionable mods to the Jeep to massage it into place. I've only had snow accumulate once in the headlight area with the newer versions. It was a wet/sticky snow. I keep the lenses polished and that's kept drier snow (and other road grunge) from sticking to it too much. Thanks - Wet sticky snow is what we get here in the Pacific NW and it easily fills up the JK headlamp bezels with regular lamps at times... less of an issue for more "exposed" mounted LED headlamps it seems (I have the trucklite LEDs on my Pinzgauer - unheated but they stick out from the front end so not much accumulation typically). Planning on getting a JKU so trying to decide on what headlights I'll use. 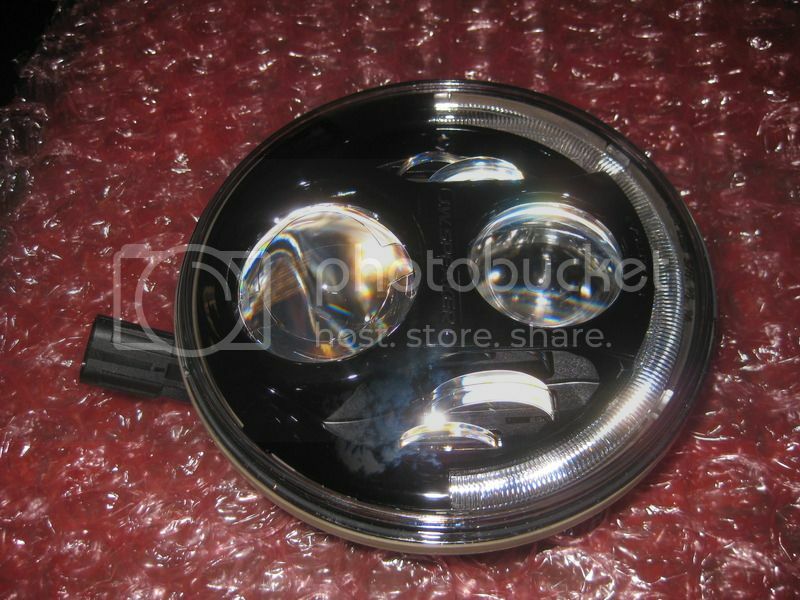 It's interesting they're going to incorporate the half circle halo for a daytime running light in the new one. IIRC that was a Europe only option until now. Funny enough, it was snowing here pretty hard on my way into work this morning, and this is what my headlights looked like (I also have LED turn signals btw). It was extremely wet and heavy snow, so I think it might do better in the drier fluffier stuff. I've seen much worse snow accumulation in the headlamp recesses here - not sure if the heater would make that much of a difference. One friend was considering making a winter grill with the plastic "funnel" area around the headlamps cut out to allow more airflow and room around the sides of the headlights to allow the snow to flow off... Separately mounted fog lights that stand up on the bumper in front of the grill seem to work better - less build-up on them usually unless they have grills. The DRL is fairly necessary if you want to make it MOPAR-friendly ---- or Canada-friendly. I think the half-moon will appeal to many customers. MTSN --- have you tried Plexus on the lens to make it slicker? I used to use it on my motorcycle windscreens and have sworn by it for decades for polishing plastic safely. I actually haven't applied anything to it yet since I just put them on a couple weeks ago and figured I wouldn't have to worry about it till next winter. I live in Colorado so that was a bad assumption I will try Plexus for sure. I know the buildup doesn't seem that bad, but that was from a 4 mile drive in spring conditions, so I do worry about hours long drives in the winter time when the storms are much worse. It was bad enough that the headlights efficacy was noticeably reduced, so a heated option does sound appealing. *Another bright idea (?) brought to you by the Ruminadian. Some sort of fluid squirting system was what I was thinking also. Should be fairly easy but for as often as I drive in snow it's not worth my hassle. FWIW, I had snow accumulate on halogen headlights too. With that cavity, enough snow is going to do that no matter what you've got in there. Unless you have a pretty hot element on the lens or a squirter with plastic-save snow-melt fluid. With snow build up like that, I don't think fluid will do it, I think it would just change the color of the snow to be honest. And yes Bill I have had build up on every type of light. Its not just LED that it happens to. The best solution I have had was my Hella 450s, They have great spread etc, and I installed 100w bulbs in them to give them a little more punch. The up side, in sloppy snow that clogs up lights, it melts off pretty good, so I have at least some forward lighting until its safe to pull over and clear off the lights. I also installed nokya yellow bulbs in my factory fogs, made a huge improvement in visability in **** weather, and again, they seem to clear better than stock. I am wondering if clear headlight covers that fill the hole and make the light pocket flush help. something you can snap in when crappy weather to keep snow from building up in the pocket. put plexus on them and done. Hmmmmm; nifty. Look what just arrived!